This long sleeve Authentic Spirit Football Jersey has no hesitation about expressing its love for Camp Netimus. Can you blame it? It’s made completely from cotton and features a puffy print that stretches across the front chest. 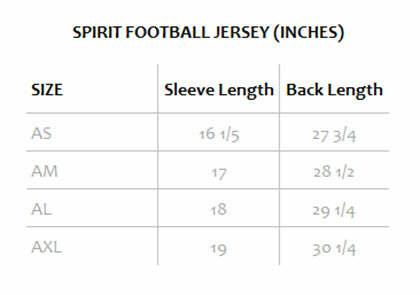 Stylish, comfortable, and warm, wear your Netimus Spirit Football Jersey on cooler nights at summer camp. Order yours today!